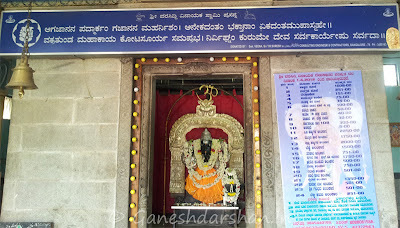 This Ganesha is from the Shri Varasiddhi Vinayaka Swamy Temple, on West of Chord Road, Rajaji Nagar, Bangalore. This temple is near the metro railway station (still under construction) at the Mahalakshmi Layout entrance. 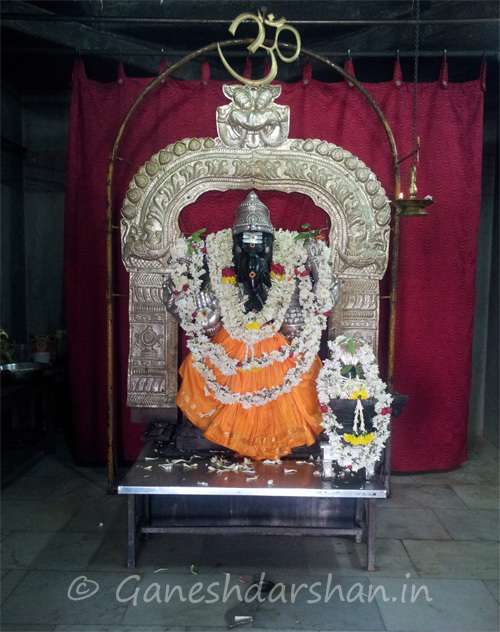 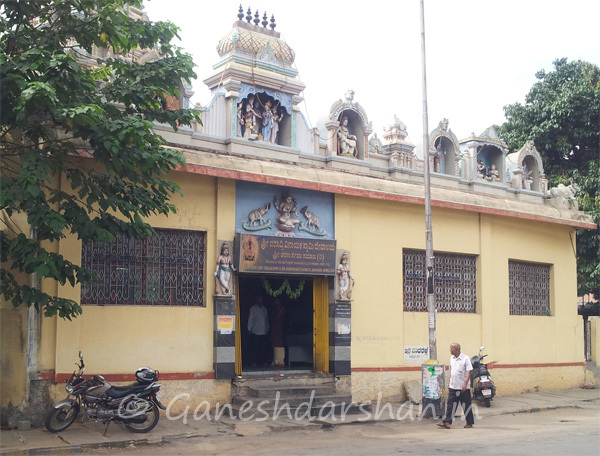 Constructed in 1991, this temple is very famous in the Rajaji Nagar area. 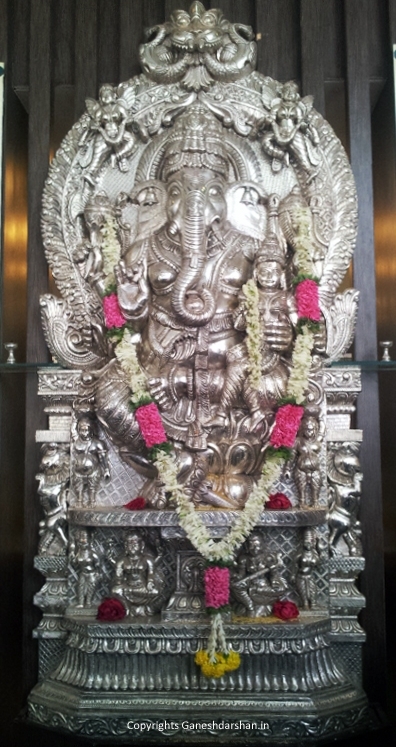 Saw this Ganesha in one of the restaurant in Banashankari area, Bangalore.